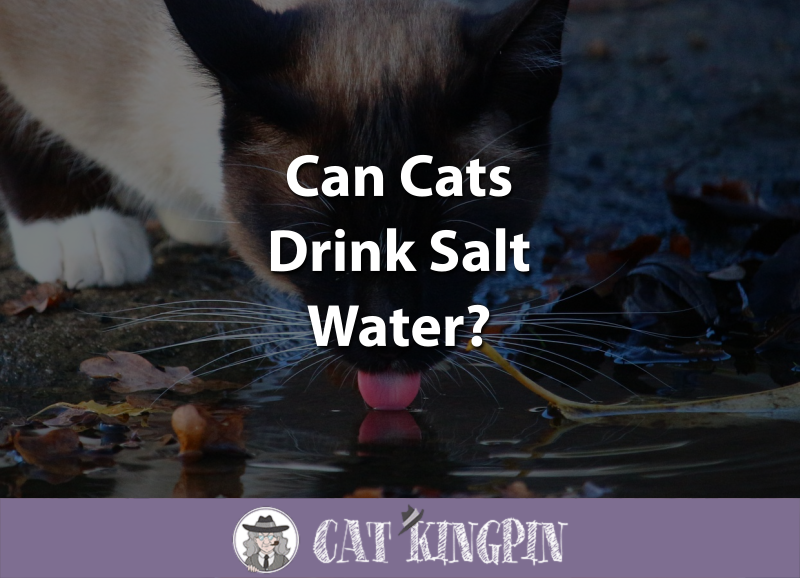 » Can Cats Drink Salt Water? Can Cats Drink Salt Water? In Samuel Taylor Coleridge’s 18th century poem, The Rime of the Ancient Mariner, a crew of seamen stranded in a becalmed, salty sea laments, “Water, water, every where, nor any drop to drink.” The anguish and irony of dying of thirst while surrounded by an endless amount of (undrinkable) water is just one of the many fates that befalls the sailors. But, what if there had been a cat aboard? Legend older than Coleridge’s rhyme has it that cats can safely drink sea water. Let’s find out if it’s true whether cats can drink from the old briny or if this old wives’ tale is all wet. Salt Water: Poison or a Tasty Drink? So, Can Cats Drink Salt Water? Cats, like all other living things, need water to survive. Like many animals, cats in the wild get much of their water from the moisture in the food they eat. When they do drink, wild cats are known to be especially picky about their water source. Shunning standing pools, wild felines are thought to prefer running water. If you want to have a little fun with your cat, try turning on the faucet and go in the other room. Their curiosity might just draw them to the sound of the water running. This is also a great way to acclimate them to the tub, making bathtime a little easier. Without question, human beings cannot survive drinking only sea water. The reason ingesting small amounts of ocean water won’t hurt you is because salt water is not toxic by itself. The problem lies in the human kidney. Up to a certain point, our kidneys will filter and concentrate salts in our bloodstream, excreting excess sodium compounds through our urine. In the case of high saline solutions such as seawater, human kidneys must excrete more water to eliminate the excess salt than the amount of water the seawater contains. This means that our bodies actually lose more water than we gain when we drink sea water. Blood sodium concentrations eventually reach toxic levels, producing seizures and cardiac arrhythmia followed by death. 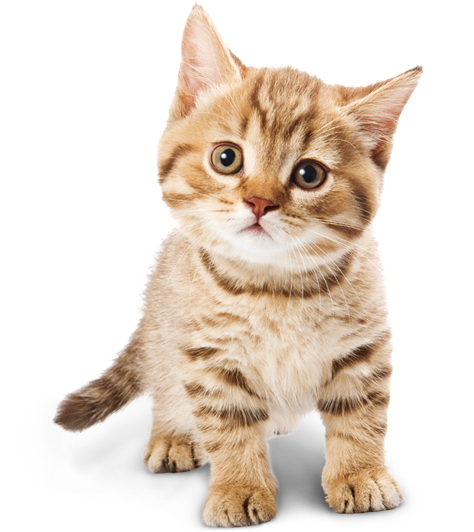 Cats, on the other hand, have kidneys that are much more efficient at concentrating and excreting salt in their urine. A study from many years ago showed that cats given only sea water not only survived, but actually thrived. In humans, there is quite a bit of evidence linking increased sodium consumption to hypertension as well as cardiac and renal diseases. However, in cats, a 2-year study failed to show that increases in dietary salt intake were harmful to a cat’s renal function or raised their blood pressure. This doesn’t mean that a high salt diet is good for cats. It just indicates that their bodies are more tolerant of sodium than ours. And they can even be more tolerant of foods in the sea as well, like if they ingest squid. The verdict is still out on whether high-salt diets are detrimental to cats who already have kidney or renal disease. If your cat does have renal disease, follow your vet’s advice which will probably include a recommendation that your cat not eat a high-sodium diet. Just because cats tolerate salty water doesn’t mean that’s what’s best for them. It’s important for you to find ways to make sure your cat drinks plenty of fresh water to prevent problems such as urinary tract infections. Remarkably, cats can drink water with a high salinity. However, cats and kittens are healthiest when they have access to fresh, clean drinking water. If you really want to ensure your cat is imbibing healthy and hygienic water, nothing beats Mospro’s Cat Water Fountain. This top-rated fountain is made of antibacterial resin material and equipped with dual carbon filters to maximize water oxygenation while removing bad odors and tastes so your cat always has fresh water to drink. As long as we’re on the subject of cats and salt, check out these Smarty Cat Salt & Pepper Shakers. They make a fun gift, or you could keep them for yourself. If you have any questions or would like to share a story about your cat and water, please tell us in the comments below. We’d love to hear from you!